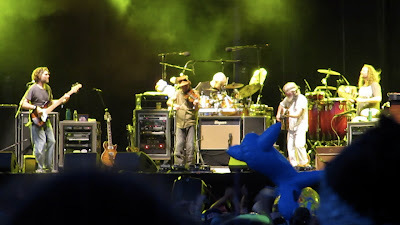 The 4 night Phish concert run at Red Rocks in Colorado was EPIC. We really had fun seeing Phish perform at this beautiful venue. We got lucky and scored 2 Phish Red Rocks tickets for each of the 4 nights in the Official Phish ticket pre-sale lottery, so we didn't need to struggle for them. 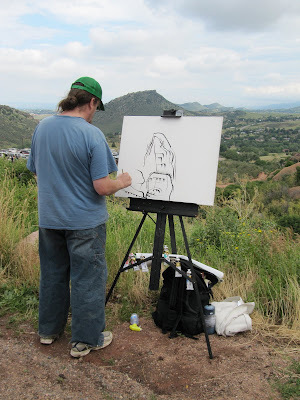 Fans got to Red Rocks early and started setting up Shakedown St. in the lower parking lot. This picture was shot at 12:05pm. 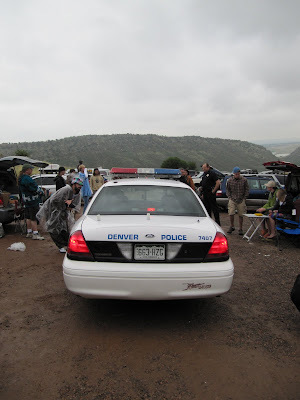 The cops arrived an hour later at 1:07pm and put a halt to any thought of the traditional pre-Phish show get together we call Shakedown St. and that set the tone for the 4-day run at Red Rocks. Standing in line waiting for a Phish Red Rocks event poster. We decided to take a walk and stumbled upon the Phish poster sale at the Red Rocks Trading Post, so we hopped in line and waited to purchase the Red Rocks poster. It was actually the same poster for all 4 nights, however it was printed in a different color for each nights show. It came in orange, green, blue and red. We collected the whole set of 4. 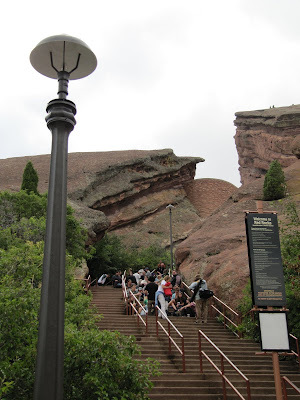 By the time we got our Phish posters, the line to get Red Rocks Amphitheater in was all the way down the stairs. The stage is set and we are all waiting for Phish to come out and perform. 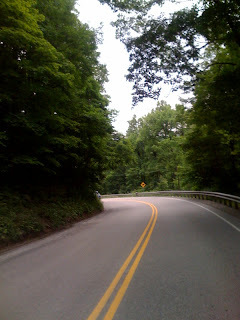 The thin mountain air has gotten so thick you could cut it with a knife. 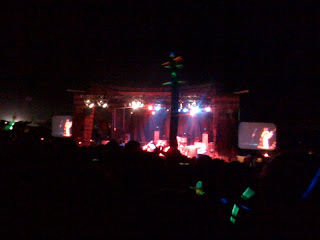 Here's a picture of the Phish stage during set-break at Red Rocks. Why do they call it Red Rocks? Huge slabs of iron rich red sandstone sedimentary rock frame the amphitheater for a vibe unique to Red Rocks. The moon was looming in the sky at sunset for the Phish concert at Red Rocks, it was breathtaking. 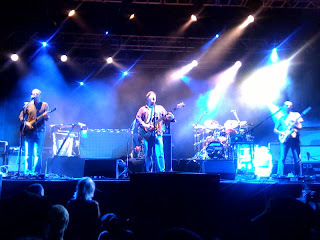 A photo of Phish performing on stage at Red Rocks. 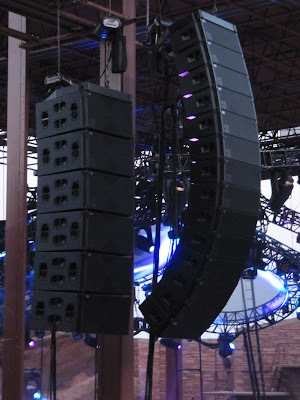 The Phish sound system speakers setup at Red Rocks. Labels: All Good Music Festival, moe. 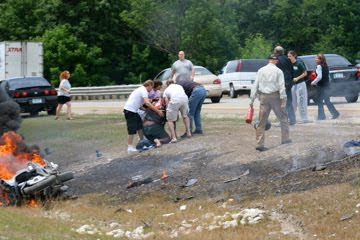 We were driving down I-96 E in Michigan and came along a burning motorcycle. 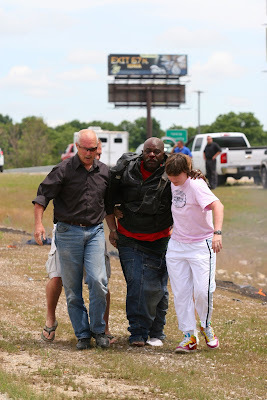 When we arrived the rider was being pulled from the flames so I put on the high visibility vest and pulled out the camera to start taking pictures of the scene. Rothbury gates are open. let the party begin!